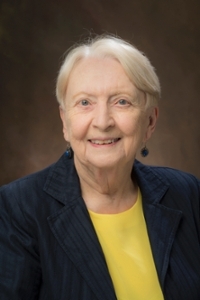 Dr. Doris Bergen is Distinguished Professor of Educational Psychology Emerita at Miami University, Oxford, Ohio, and served as chair of the department for eleven years. A focus of much of her research has been on play theory and humor development, including effects of technology-enhanced toys on play, adult memories of childhood play, and gifted children’s humor. Recent published research explored Event-Related Potentials (ERP) that children’s brains exhibit during two types of videogame play. She also has been involved in a series of international research studies examining the effectiveness of a stakeholder measure of early childhood education quality. She is a Miami University Distinguish Scholar, having published twelve books and over 60 refereed articles and book chapters. Her most recent books are Technology Play and Brain Development (2016) and Brain Research and Childhood Education (2017). She was co-director of Miami University’s Center for Human Development, Learning, and Technology and the Center was named in her honor at her retirement.